The Vectra was General Motors' response to the ultra-successful Ford Mondeo and the replacement for the Vauxhall Cavalier. Launched amid a big-budget TV campaign as the car for the next millennium, the Vectra immediately caught the public's imagination and got off to a successful start. The motoring press, however, gave the Vectra fairly lukewarm praise. The styling was felt by many to be too similar to the old Cavalier and, apart from those swoopy external mirrors, the Vectra certainly lacked the radical touches of, say, the latest Mondeo. That criticism was addressed partly by the March 1999 facelift which sharpened up the styling a little and brought new engines and tauter suspension and steering to many of the mainstream models. The new 'hearing aid beige' interior colour option was less welcome. As a used buy, however, the Vectra range makes a lot of sense. The large range, proven mechanicals and of course, Vauxhall's extensive dealer network all add up to sensible, low cost family motoring. The Vectra arrived in October 1995 as a four-door saloon and a five-door hatch. The estate followed a year later. Engines remained up to the March 1999 facelift as they were at the original launch, with the exception of the turbocharged 2.0-litre Di diesel, which only appeared in September 1996 followed a year later by the intercooled DTi unit. Initial rim levels consisted of Envoy, LS, GLS, SRi and CDX, though there were several limited editions such as the Premier and Expression. Engines ranged from eight and 16-valve 1.6-litre base-model units, through the more popular 1.8, 2.0 and 2.5-litre sizes, the latter being a V6. As for the turbo diesels, the 1.7-litre engine remained available for several months after the introduction of the advanced 2.0 direct injection motor in August 1996. 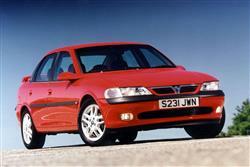 In March 1998, new 120 and 140bhp SRi variants were launched along with a revised SRi V6 and even faster GSi V6 models. The range was completely revised in March 1999, though the changes were hard to spot. There were revisions to most of the engines and a new 1.8-litre petrol unit was added, as well as 2.0-litre LPG 'Bi-Fuel' models. The handling was said to be improved and equipment levels were up. The nose section was slightly restyled along with the tail lights. The make-up of the range however, remained much the same though you'll find 'dot com' models sold through Vauxhall's website as well as the Club and SXi. 'Old shape' GSi models continued on sale until a 'new shape' GSi V6 (with all the visual tweaks) arrived in August. In early 2001, new engines were introduced to the range, the old 2.0-litre petrol unit being replaced by the 2.2-litre powerplant first seen on the sporty Astra Coupe. The diesel line-up was improved too (including 100bhp and 125bhp DTi units) and a 2.6-litre V6 replaced the 2.5-litre V6 in top versions. A bargain Tourer version of the 1.8 LS estate was introduced in autumn 2001 to buoy up sales and Dualfuel LPG and CNG conversions were offered across the 1.8-litre range. The range was replaced by an all-new model in Spring 2002. A well-equipped and handsome car, but one that many consider a little too ordinary. Horses for courses, though, and compared to say, the Mondeo, the styling is certainly restrained. Perhaps this is more appealing to many buyers. The quality of the interior is a major step forward over the Cavalier and, together with the increased roominess, means the Vectra can be taken seriously as a true family car, in a way that the 'cosy' Cavalier never really could. The six-cylinder cars come with sparkling performance as standard and the four-cylinder versions can also hold their own against sportier rivals. Fuel consumption is also excellent even though, model for model, the Vectra is a heavier car than the one it replaced. Higher gearing and engine development efficiency improvements making up for the extra weight gains. The reliability of the Vectra is thus far unquestioned but that's hardly surprising given the fact that its mechanicals are all well known and proven. The early Vectras were designed with a bias for Opel's German customers, and overly firm seats, in particular, were noted by UK motoring writers. 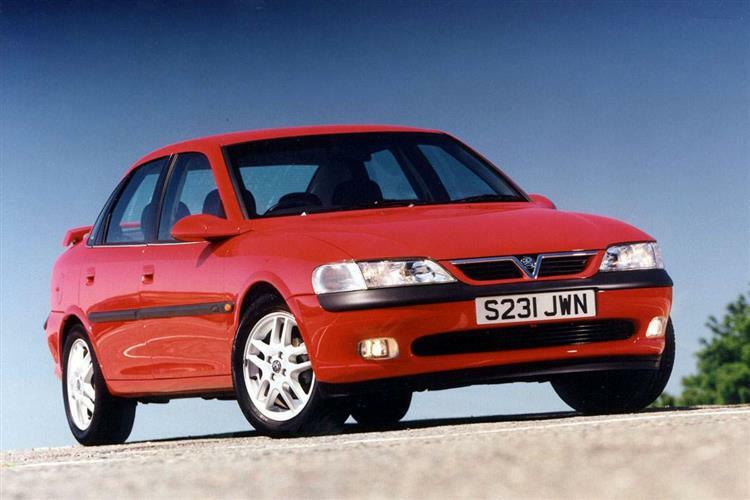 Vauxhall moved quickly to deal with this criticism, fitting redesigned seats to right-hand drive cars, though the other main problem, a steering wheel that lacked any form of adjustment, took until the 1997 model year to put right. GM spent an enormous amount of money developing the Vectra and the thoroughness of its effort shows. However, there are cars about (mostly early examples) with slight paint imperfections, dashboard rattles and intermittently unreliable engines, so check that all is well with a thorough test drive as well as an interior and exterior inspection. (Based on an 'N' plate Vectra 1.8 GLS and excluding. VAT) A full exhaust will be about £100-£275. A full clutch assembly will be in the region of £65, while brake pad sets will be just under £16. A new headlamp will set you back roughly £60, a replacement alternator should be about £90, a radiator around £135 and a starter motor will cost about £75. 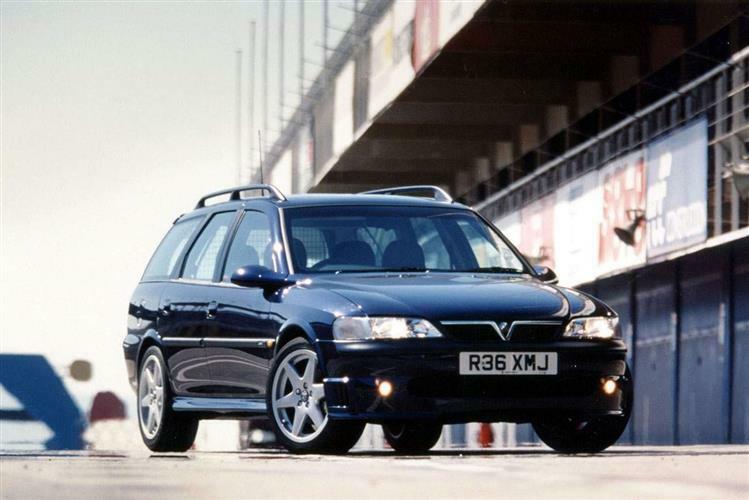 The Vectra has never been known for the handling finesse of its French rivals, such as the Laguna and 406, though, as a motorway cruiser, it certainly takes some beating. The six-cylinder cars are real wolves in sheep's clothing and the combination of powerful engines and high gearing makes all Vectras relaxing and economical high-speed family cars. The younger the car, the better, as the Vectra has benefited from constant development. The choice of used examples is huge, so take your time and you'll find exactly the car you want, at a price that suits.